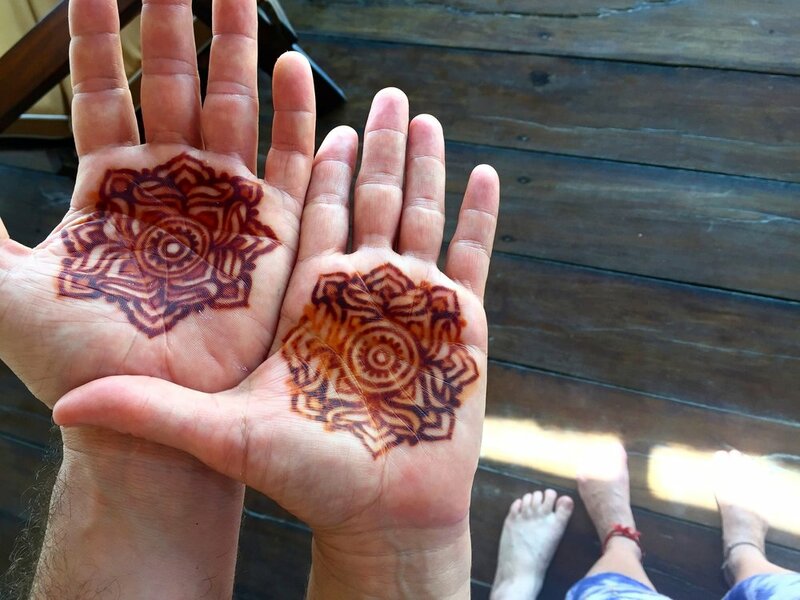 Being adorned with henna is joyful but also meditative, it teaches you to appreciate the beauty & impermanence in life…to enjoy the moment! 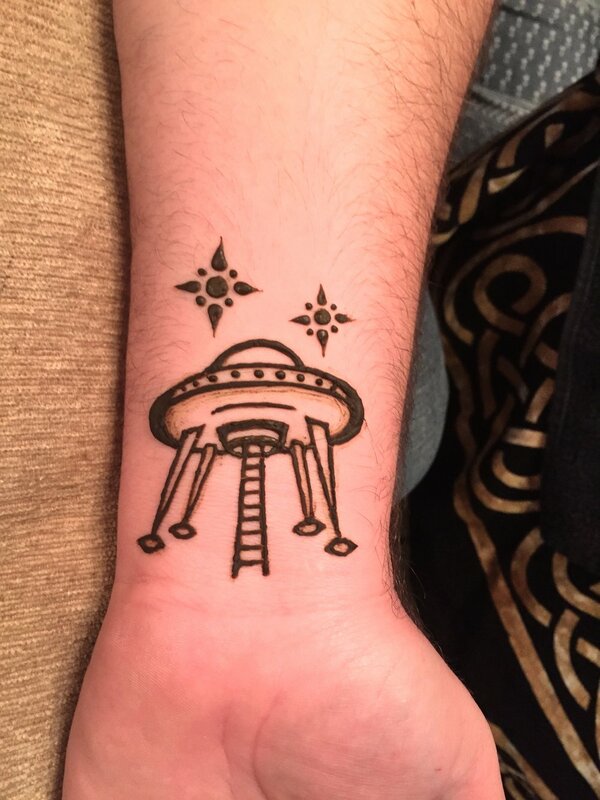 I have been practicing mehndi, the art of applying henna, since 1997. I discovered my love of this art on a visit to NYC & have since experienced a depth to it that I never could have imagined. My goal with each client is to channel what you are trying to convey, to help you express yourself! I will create something personal, even if we are working from a photo of art that you love. I have many designs to use for inspiration, but all my work is freehand & is custom drawn after conversations with you. I make my paste every week using high quality organic henna powder & other natural ingredients. 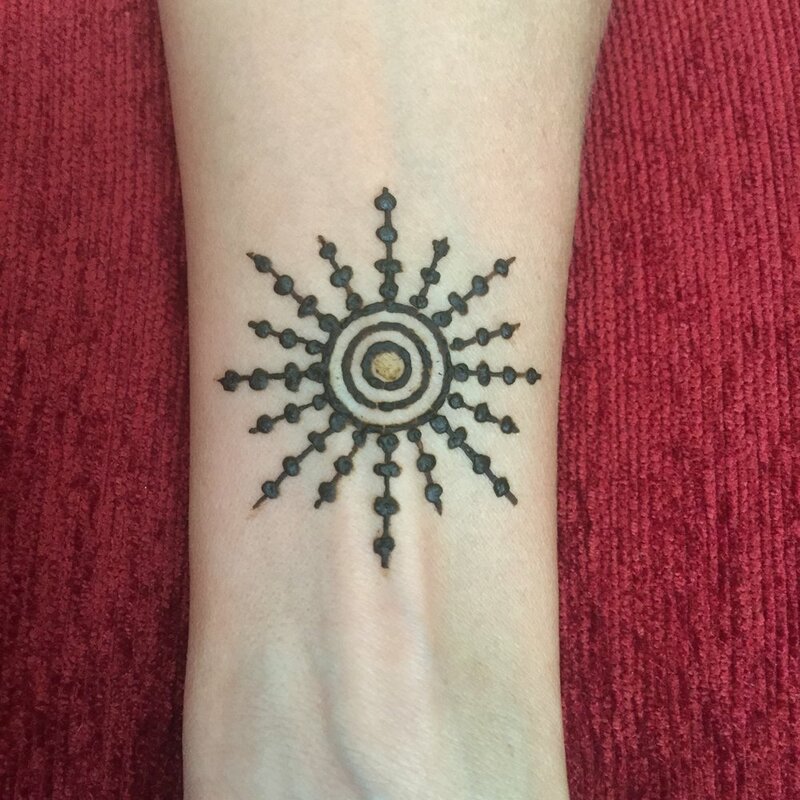 Every artist practicing authentic henna has their own unique recipe…I use fresh lime juice, cajeput oil, lavender oil, tamarind paste, fenugreek seeds, black tea, sugar & filtered water. 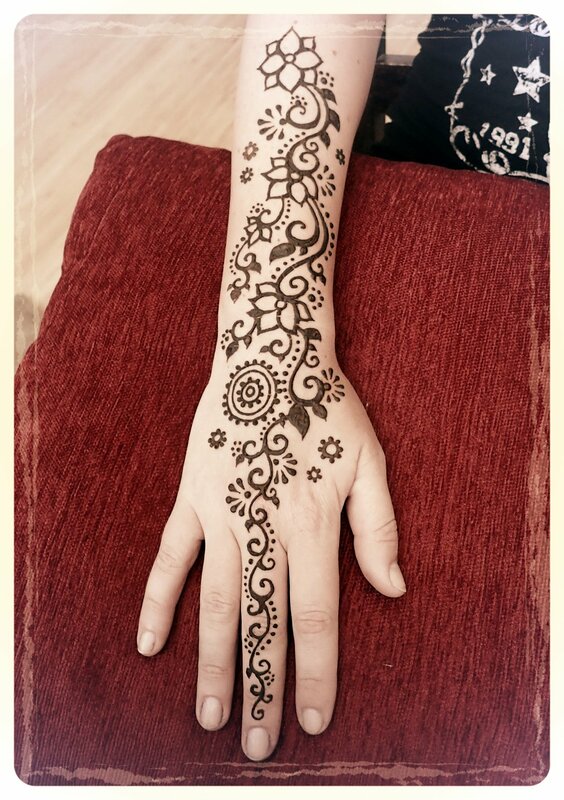 I bandage my henna designs which allows the paste to stay on longer & to hold in more heat. Henna paste generally needs to stay on the body for at least 8-10 hours to get the best color possible & it loves the heat. It begins staining immediately & the longer you leave it the darker it can be. Minimum prices start at $30/person for individuals, $20/person for 2 or more at my studio, $30/person if I travel to you. Price depends on size, location, intricacy & difficulty. Since my work is freehand I can usually make it work to fit any budget. I'm centrally located just south of downtown Austin & I take all forms of payment. If you're in Austin I can travel to you for a $90 minimum. We can discuss a higher minimum if you need me to travel further. With enough notice I'm available to work daytimes, evenings or weekends. 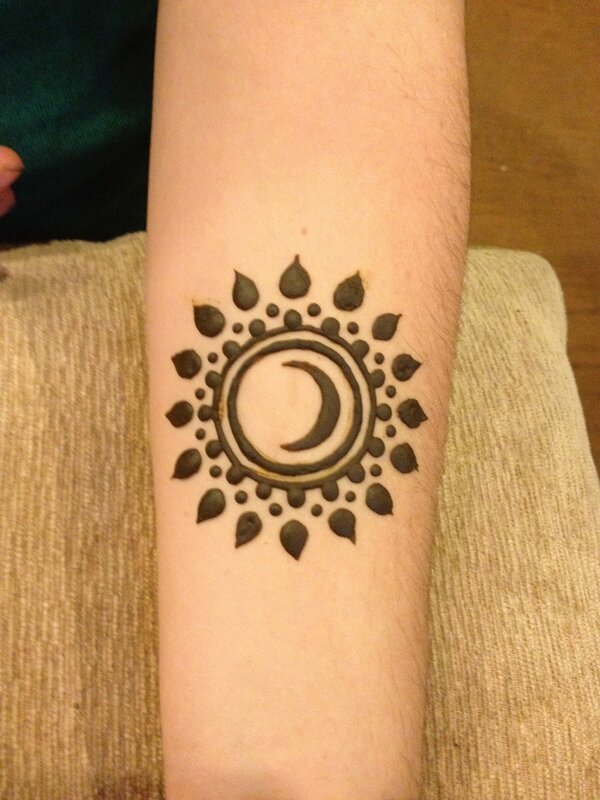 Individual henna classes are $100/person (2hrs). $80/person for 2 or more in the class. I recommend at least 2 classes...one for learning to roll the cones & everything you need to know to use them, the next for learning to make the paste & for further practice with the cones. 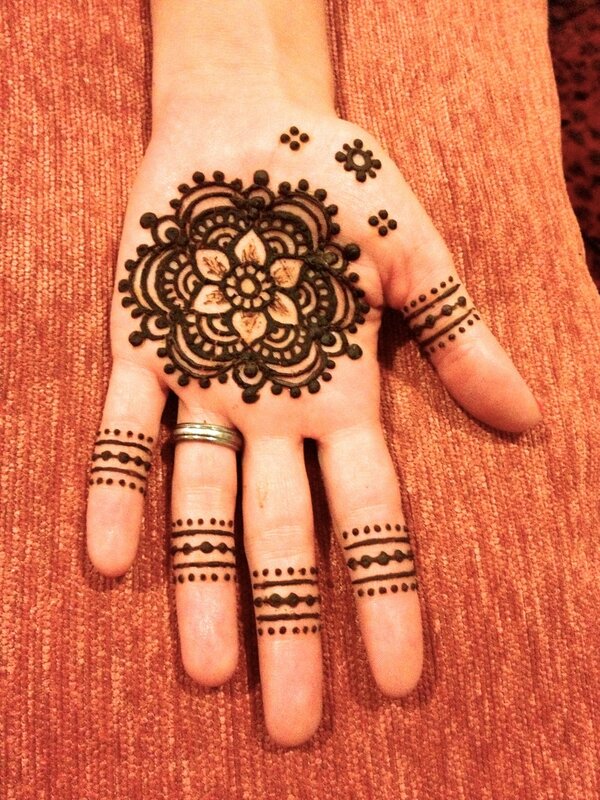 Every class is customizable & you get henna cones to take home with you. I include history, design structure, advise on client interaction...whatever you might need to be successful & to have a deeper understanding of this beautiful & ancient art. I can teach everything in a longer class for $160/person if you only have one day available.